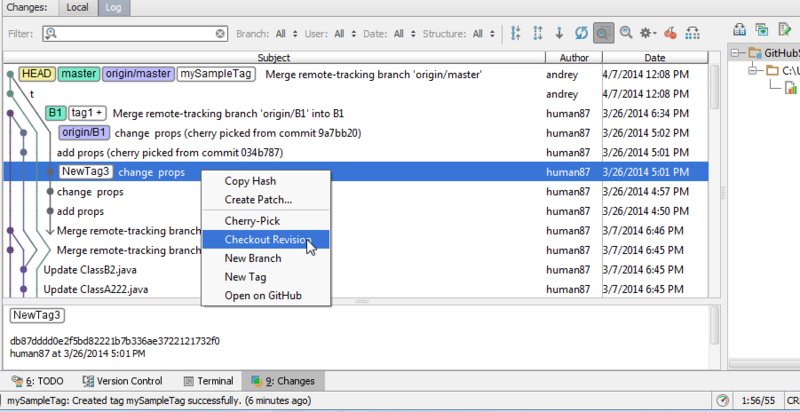 How do you list the Git tags? I would like to be able to select a tag, even if I don't know the name exactly, without going to the console. Scrolling the log is a poor workaround, imagine that the tag you are looking is really old and you even remember an approximate date.